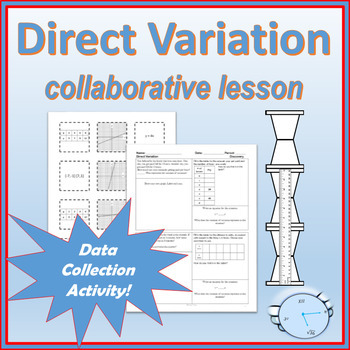 Students will discover what direct variation is during a cup measuring activity. 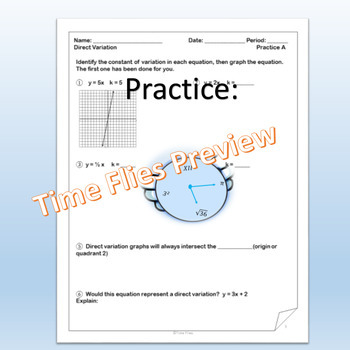 The students will show their data using a table, graph and equation. Pairs will work through two more discovery problems and share what they have learned. The rest of the lesson is practicing these new skills. 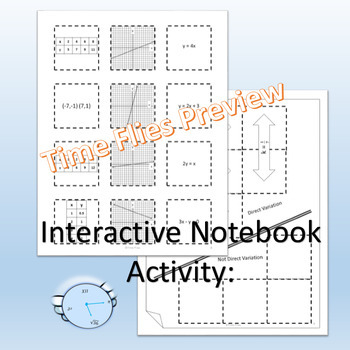 Finally, there is an interactive notebook activity and a short quiz.